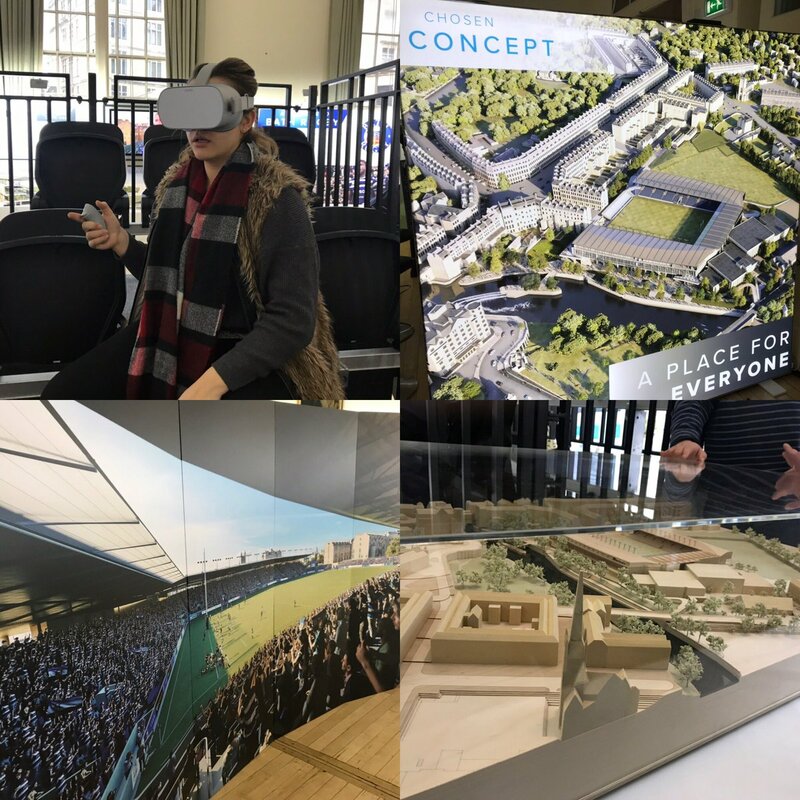 Following your feedback from the round 1 Public Consultation in July 2018 we have revised aspects of our plans for the Stadium for Bath project. Details of the revised plans can be downloaded below. As before, please do let us know your thoughts using the feedback form linked below and don’t forget to share your support! 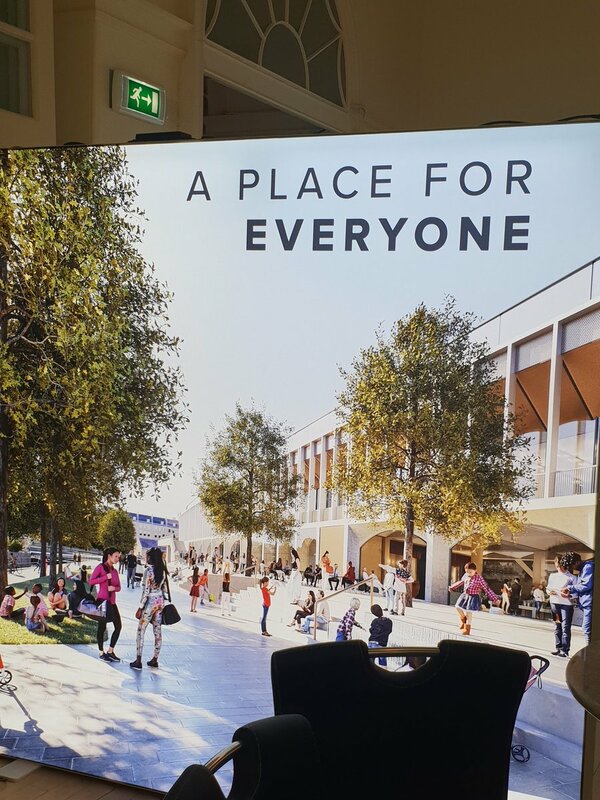 Stadium for Bath is about delivering a new home for Bath Rugby, regenerating the riverside in the heart of Bath, the creation of wider sporting and community benefits, building a brilliant place that everyone can enjoy, whether they’re a rugby supporter or not. Don’t forget to head to the Guildhall today for the final consultations for @StadiumforBath. We’re here until 19:00 today and also 10:00-16:00 tomorrow. Don’t forget to head down to the Guildhall today and gave your say. We’re here until 19:00! Head down to the Guildhall for the final @StadiumforBath consultation. Hopefully the process concludes quickly. We need modern facilities to attract visitors and income to centre of bath. The latest proposal is a sympathetic design. 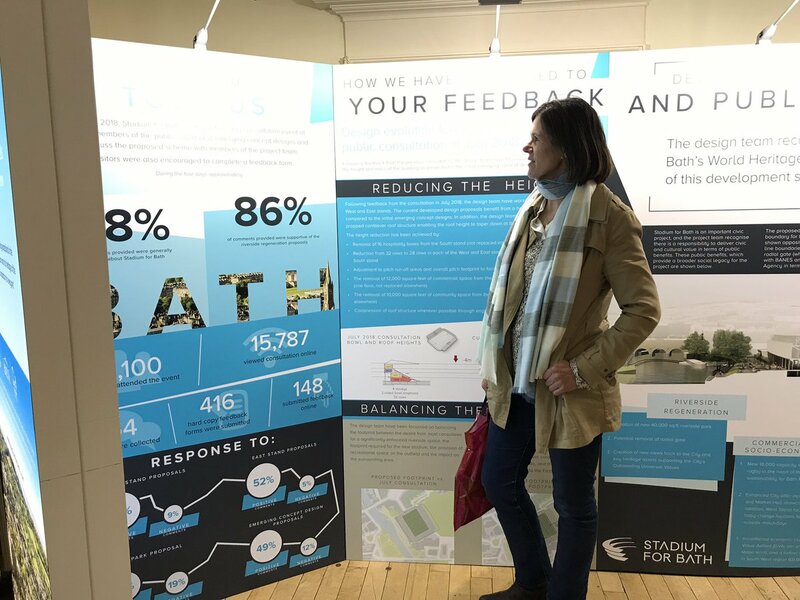 🗣 | Have your say at the Stadium for Bath public exhibition in the final round of consultations at the Guildhall, Bath starting tomorrow. ‘New-look Rec would be something exceptional.’ BathLive. Don’t forget to head to the Ricoh Suite at the Rec to give feedback on the initial emerging design concepts. It needs to The club is a huge asset to the town and its businesses! What would be the time scale? The existing ground is a disgrace but I just can’t see this happening. Can’t see this getting approved. I couldn’t read the article but think this would be £50 million. Surely build a new stadium out of town? “Bath Rugby Foundation uses the values of sport to change the lives of disadvantaged children and young people and over the last 15 years we are proud to have helped thousands of youngsters in B&NES discover and reach their full potential. 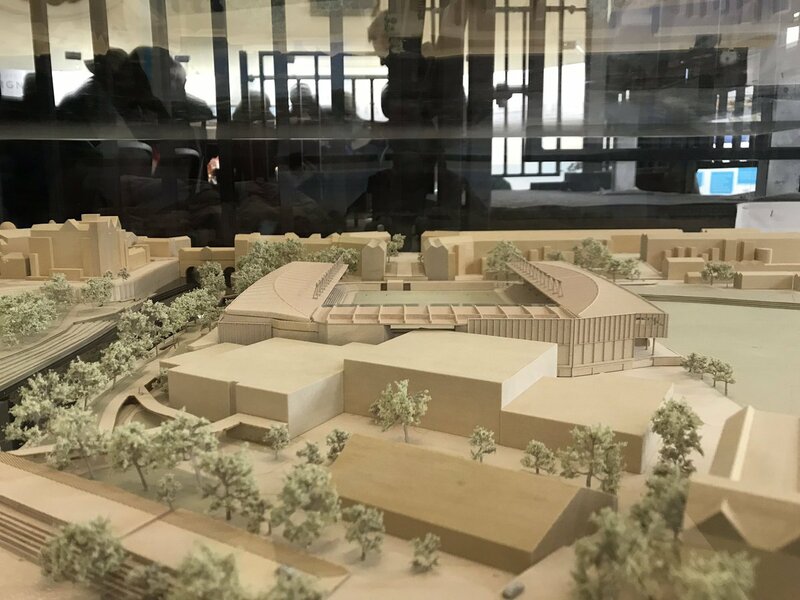 “We already work in schools, in the community and in our own classroom, but Stadium for Bath will provide us with the purpose-built space to connect and collaborate with other like-minded charities for the benefit of the increasing number of children and young people who need us. Lynne Fernquest, Chief Executive, Bath Rugby Foundation commenting on today's announcement about how a new stadium will provide a sporting and social legacy for Bath.